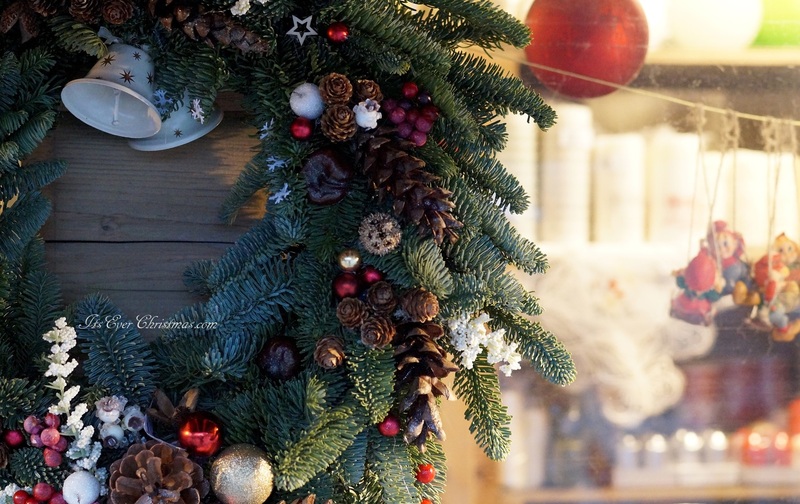 Christmas Decorations: Blue-Green Evergreen Wreath | It's Ever Christmas! Hello, Everyone! I think this wreath is one of the prettiest I’ve seen. I appreciate the mix of natural elements, metallic ornaments and the ‘porcelain’ cups. This wreath is so attractive that it would look lovely on display each season.